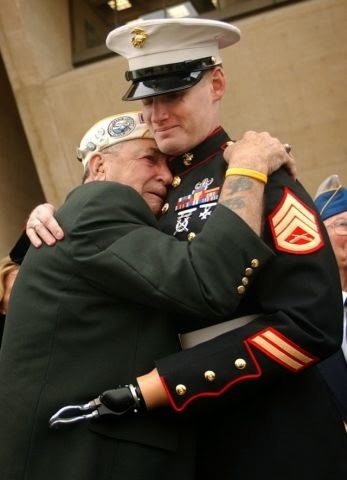 Veterans Day - A national holiday on which Republicans feign support for veterans even as they are cutting their benefits. Thank a veteran for their service and call your legislators on the national and state and local levels and demand that they provide genuine support for our American heroes and their families. Yes, feign is the correct term to describe the Scott Walker led republicans. Warrior Walker sending down his divide and conquer warfare move on the Department of Corrections union thug officers was stunning, considering such a high percentage of these employees are military veterans, or currently in the reserves.